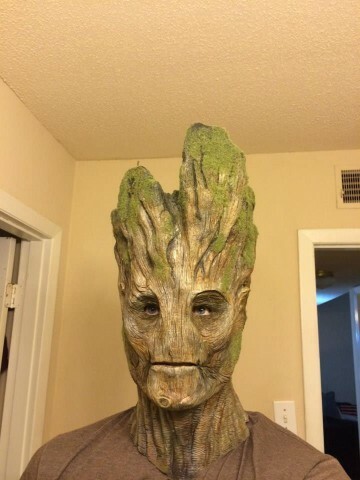 Guardians of the Galaxy Groot Costume « Adafruit Industries – Makers, hackers, artists, designers and engineers! Guardians of the Galaxy is shaping up to be one of the most popular movies of the summer, and I’m especially looking forward to seeing Rocket Raccoon and Groot in action. 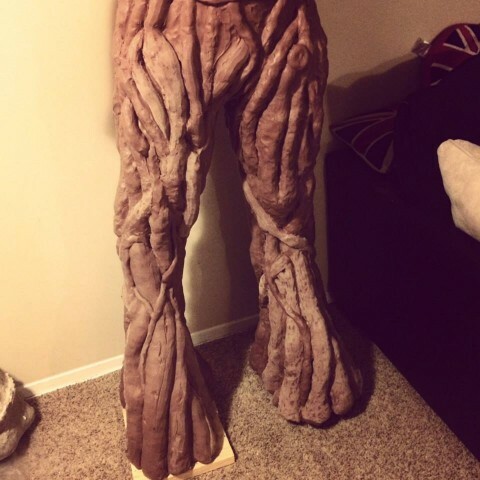 The latter is an alien who looks like a tree and only says, “I am Groot.” HurleyFx is in the process of building a Groot suit (like a zoot suit but with bark!) for Dragon Con, and it’s shaping up nicely. Groots legs blocked out, now to refine the shapes and then start detailing, busy the next few days so probably back on this the start of next week. Legs blocked out and trimmed ready for detailing, they stand at 52 inches tall, The latex shrinking should help thin them down again, but if needed I will cut out the odd branch to tailor them more once they are done, better to have them too big to begin, rather than too small. 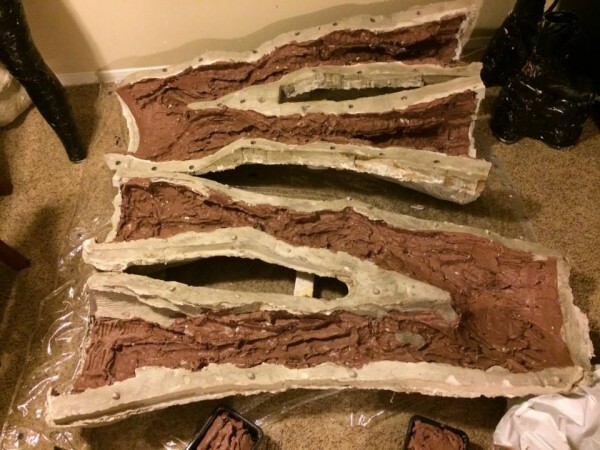 More photos and WIP information at HurleyFX’s Facebook page.